The Randy Report: Country Hunk Ty Herndon Covers Whitney Classic "I Wanna Dance With Somebody"
Country Hunk Ty Herndon Covers Whitney Classic "I Wanna Dance With Somebody"
After spending the past few months criss-crossing the country performing at various Pride events, out country music artist Ty Herndon recently hit the recording studio with DJ Little Steve to cut four songs for his dance floor fans. In addition to “Dance,” Herndon recorded to new versions of his own songs (“Living in a Moment,” “That Kind of Night”) as well as the Marc Cohn hit, “Walking in Memphis,” which became a big hit for Cher. Herndon debuted the dance remixes this past summer at Market Days in Chicago. 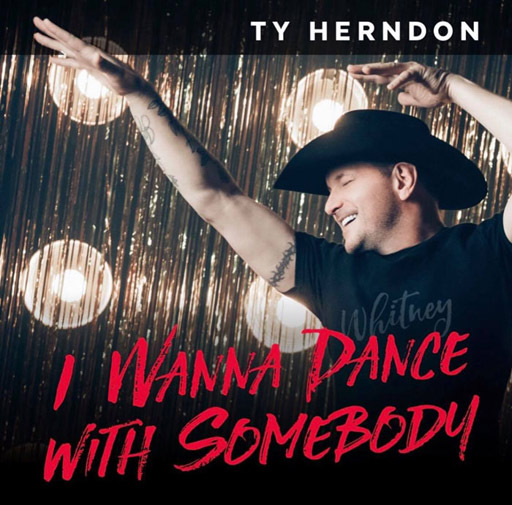 It is interesting to note that Herndon says he was inspired by his Pride performances to record the remixes, but in listening to his cover of "Dance," the openly gay artist omits the lyric "I need a man who'll take a chance, On a love that burns hot enough to last." Since coming out in 2014, the “What Mattered Most” singer has been a loud and proud advocate for the LGBT community partnering with several organizations, most notably GLAAD. His annual Cancer for Love and Acceptance fundraiser for GLAAD features out musicians as well as LGBT allies. This year’s concert, hosted by Herndon and out CMT host Cody Alan, featured performances by Ty, country music icons Tanya Tucker and Vince Gill as well as out UK sensation Calum Scott and Michael Ray. Check out Ty’s cover of “I Wanna Dance with Somebody” below.